Three St. Louis Cardinals pitched for Surprise on Tuesday but only starter Evan Kruczynski avoided significant damage in the Saguaros’ 16-8 loss. Results from the game played Tuesday, October 16th. The Saguaros’ bullpen was pounded for 16 runs in their 16-8 road loss at Peoria. The defeat drops Surprise (4-2) into a first-place tie with the Javelinas. St. Louis’ Conner Greene (BS, 1) (L, 0-1) was handed a 4-0 lead to begin the sixth but could not make it out of the inning. The tall righty was pounded for six runs on five hits and two walks while collecting just two outs. The big blow was a three-run blast by Ian Miller (SEA), Peoria’s ninth-place batter. Zach Jackson (TOR) retired two batters, stranding Greene’s final runner, but was touched for three tallies on a hit and two walks. Will Latcham (STL) followed Jackson to the mound and simply imploded, allowing all three of Jackson’s base runners to touch home plus five of his own on three hits and three free passes before recording his only out. Joe Barlow (TEX) struck out his only batter to end the nightmare seventh and strand an inherited runner. Bucs’ right-hander Matt Eckelman surrendered a two-run long ball the next inning. 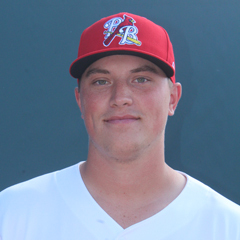 The Cardinals’ Evan Kruczynski tossed the initial 3 2/3, tiptoeing around three hits and three walks for a clean outing. The southpaw fanned three with five ground- to one fly-ball out. Pittsburgh lefty Blake Weiman pitched 1 1/3 scoreless frames, leaving an inherited runner aboard, before handing the ball to Greene. Surprise generated 12 hits, led by left fielder Nick Heath (KC) and third baseman Vladimir Guerrero Jr. (TOR), who each went 3-for-4. Heath worked two free passes, swiped three bases and scored two runs while Vlad Jr., the AFL Player of the Week, walked and doubled once with a stolen base and three RBI. None of the four St. Louis position players took part in the game.